Did you know that you can get cash for your life insurance policy? Or have you ever wondered, “Can I cash-in life insurance while I am still alive?” Good news – the answer is yes, and there are several ways to get cash for your life insurance policy. If you suffer from a chronic illness, you may be able to borrow against your life insurance policy to assist with medical bills, living expenses, additional care or alternative therapies. This option is called a Life Insurance Advance. A Life Insurance Advance is a loan, and allows you to keep ownership and still get cash for your life insurance policy. Your credit score and income are not factored into the qualification process. A Life Insurance Advance is secured solely by your life insurance policy. You can get cash for your life insurance policy. 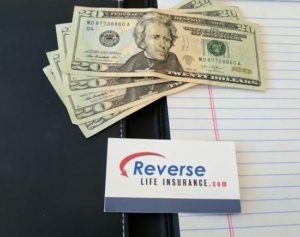 A Reverse Life Insurance Settlement could allow you to get cash now, even if your policy itself doesn’t have a cash value. If you are 65 or older, and your health is declining, this option may be for you. Premiums for life insurance can drastically increase year after year. As you age, your life insurance premiums will often increase, making the monthly payments unaffordable. A reverse life insurance settlement provides you with the chance to recover the cash equivalent of a portion, if not all or more, of the premiums you paid over the years by selling your life insurance policy for cash. If your health has deteriorated since purchasing your life insurance policy, you may have value in your term life insurance, even though term life insurance doesn’t have any actual cash value. Often times, premiums on term life insurance or newly converted permanent life insurance policies are surprisingly high. If you find yourself not being able to afford your life insurance, or if you just no longer need your policy, then a Term Life Settlement may be the way to get back some money now, by selling your life insurance policy for cash. If you still need a portion of your life insurance, but can’t afford your premium, you may be able to cash-in your life insurance policy while you are still alive and retain a portion of your death benefit. The Retain a Portion Settlement allows you to get cash for your life insurance policy. While you retain a portion of your life insurance, the remainder of your premiums will be paid by the buyer for the rest of your life. If you suffer from a chronic illness, or are 65+ and have deteriorating health, you may be able to cash-in your life insurance while you are still alive. If your health has gotten worse since purchasing your policy, or you still need a portion of your policy but can’t afford the premiums, you may now have fresh options for your life insurance policy. If any of these opportunities describe you or your situation and you qualify, then yes, you can get cash for your life insurance policy.